Happy hump day! 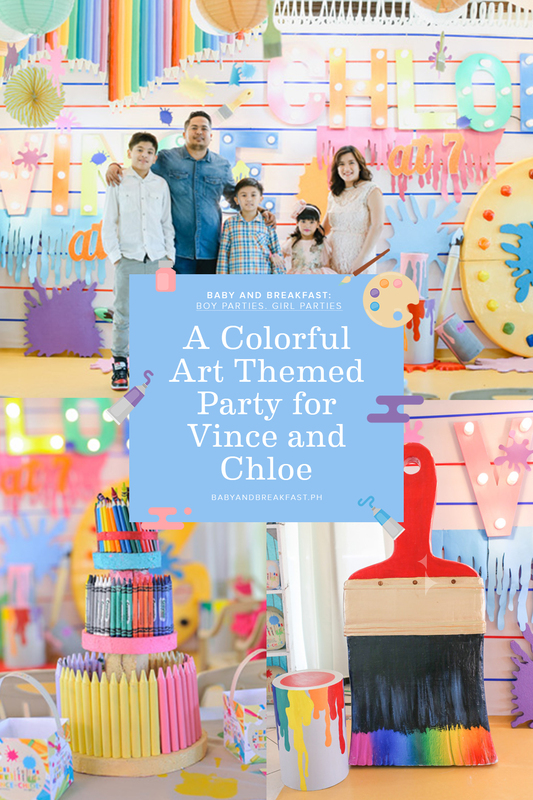 If you want something to brighten up your day, and if you also happen to be planning an arts and crafts themed party, I swear that Vince and Chloe’s joint birthday celebration is the cutest source of inspo! Thanks, Cradles by Anne Naig for sending these adorable photos in! The artsy and detailed desserts from Party Bitz and Pieces! I bet the kids had tons of fun eating those treats! Kudos to Party Bitz and Pieces because I know it takes some real skills to work with this much color, and still make the venue look well-styled and pretty! The celebrants’ outfits look cute too! Chloe’s playful ball dress is a wonderful contrast to Vince’s casual look, and we’re all here for it!